Posted On December 24, 2015 by Team iCynosure. Haircare is one of the most important and crucial aspect of everything beauty especially in the changing environment and very active lifestyles. My hair is my crowing glory along with being a major aspect of stress in my life. With numerous hair treatments over the years my hair has lost it’s elasticity, sheen and overall health. So now all my focus has been in enhancing the wellbeing of my hair not only from within but also from the outside. 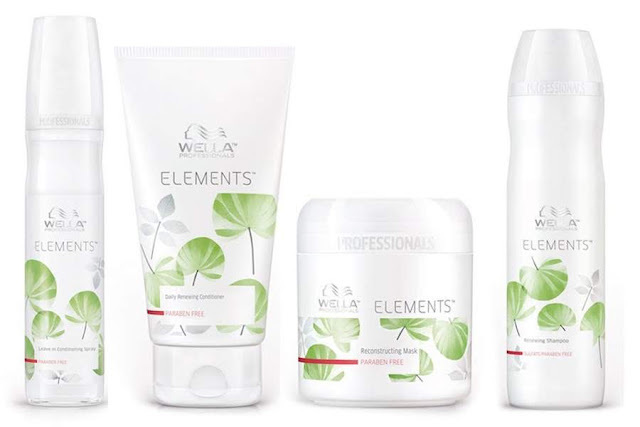 And just as the Indian-Mumbai weather turned into its drier and harsher variant, Wella Professionals launched the ‘Elements’ range and I was one of the luck few #MumbaiBloggers who had direct access to the event and the products first-hand. The Elements Range of products are inspired by all things ‘Natural’ and keeping in tune with the theme the venue was thus decorated. The fact that the range is sulphate-free, paraben-free and with no artificial colorants made it a winner at first glance. During the launch Dr. Kerstin Meyer-Lipp, Wella's Innovation Expert set up a mini-lab and took us through the correct way to using the newly launched products that are full of natural ingredients. The Elements range consists of the Renewing Shampoo, Lightweight Renewing Conditioner and Renewing Mask. The range is perfect for those who want to go in for a natural and healthy haircare regime as compared to any other to revitalise hair through nourishment and nature. Bollywood actress Nimrat Kaur was present to launch the range and made some hair-raising hair confessions and vouches for a more simpler more organic range of products. Since the launch I’ve tried the product a couple of times and have found it to be strengthening hair and nourishing the hair roots as such that there is considerable less breakage and the overall hair looks shinier and healthier. The range works towards building the principal component of hair, Keratin a protein that acts towards renewing hair vitality. Since the products are Sulfate, paraben and artificial colorants free and infused with the NuTREE complex it enriches the hair texture with natural tree extract a powerful antioxidant which helps reduce free radical damage. NuTREE is sourced from Germany, and the natural tree extract has anti-irritant properties to balance and calm the scalp in case of sensitivity and allergies. I’ve seen visible difference in my hair texture and it’s given a bounce to my hair. I have been on a look our for organic products for hair care, so this review comes at the right time. Will definitely try the products.